Almost three-quarters of Africa’s urban population uses firewood as their primary source of domestic energy, and the International Energy Agency projected that the absolute numbers will almost double by 2030. However, future projections of energy demand and specifically firewood use are complicated, uncertain and depend a great deal on the broader political and socio-economic trajectories at local, national, and regional scales. Two decades ago, Williams and Eberhard (1996) estimated that 13 million m³ of firewood were used annually in sub-Saharan Africa’s largest economy, South Africa. Since then, the population has grown by one-third (from 42 million to 56 million), along with an increase in urbanization from 55 % to 65 % and a more than doubling of the GDP per capita. In the same period, South Africa built over four million low-cost urban houses and doubled the proportion of households with access to electricity. It is assumed that these socio-economic developments will have more or less eliminated the need for firewood as a domestic energy source amongst urban households. Accordingly, the South African government has no national programs to secure urban firewood supplies or sustainable use of local woodlands and forests from which firewood is harvested. Therefore, all urban firewood is either collected directly by households or marketed by small-scale traders. In 2004, the IEA voiced that informal firewood markets provide a regular income to hundreds of thousands of people across sub-Saharan Africa. Yet, being small and informal means that they are typically invisible in government statistics and policies. The same applies in South Africa, where there has never been any systematic enumeration of firewood markets, the number of people involved, the benefits they enjoy or the constraints they experience in making a living in this way. Moreover, most of the few studies on urban firewood use are over two decades old and pre-date the substantial changes in urbanization, housing, electricity provision, and household incomes since the mid-1990s. Our study enumerated the firewood markets in South Africa’s two poorest provinces, the Eastern Cape and Limpopo Province. We found that 80 % of the dozens of towns visited had informal firewood markets; a clear indication that firewood is a vital energy resource despite marked improvements in the socioeconomic conditions over the past two decades. Most of the traders said that there has been an increase in the market size over the last 10 years, including quantities sold, number of sellers and number of consumers. Most of the markets are located in the poorer areas of the towns, or on the roadside leading to these areas. Approximately two-thirds (63%) of the traders are female, mostly with no or limited formal education. Not unsurprisingly, there is a clear relationship between an increasing number of traders with increasing town size. 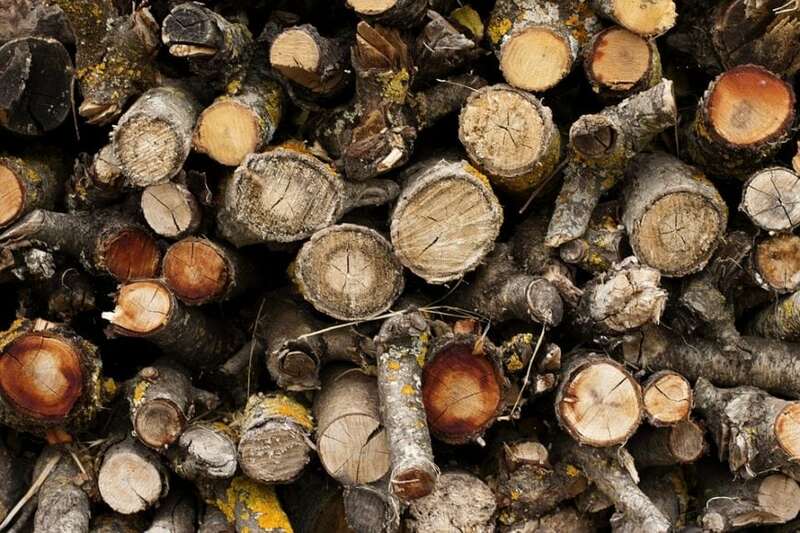 Using town size as a predictor suggests that there are at least 1,400 firewood traders supplying the urban populations of these two provinces alone. Generally, the firewood vendor also harvested the wood that they sell. The only other actor might be a transporter, but many of the vendors transport the wood they cut, by either donkey cart or their own pickup vehicle. A few sell wood to other vendors who in turn sell to the final consumer. A trader sells an average of 743 kg of firewood per week, translating to a gross monthly income of approximately US$275. Whilst modest by some standards, it is well above the international poverty line of US$2 per day, and the proposed South African national minimum wage of approximately USS250 per month. Most of the trading households also receive government social grants. It should be noted that the mean income is highly variable, reflecting large variation in the number of hours and days worked. For some traders, it is a casual occupation to generate supplementary cash income, whilst for others, it is more or less a fulltime occupation. Additionally, some sellers are involved for only short periods in response to a household shock or economic difficulty and once they have the required cash will opt out; a significant indicator of the importance of wild natural resources as safety-nets for the poor. Many point out that the time harvesting the wood, and getting to and from harvesting sites, up to two hours, is time without an income; they must be in the market to earn money for the day. Traders without their own transport lament heavy transportation fees, and those with their own vehicle (donkey cart or utility truck) face maintenance and fodder/fuel costs. Other constraints they face include slow sales because of many firewood sellers in the same area, theft of stock as many have nowhere to store it, harassment by authorities and police demanding trading permits, limited and declining wood supplies in close proximity, and encountering dangerous animals such as snakes and scorpions. Despite these hardships, they provide an income for their families and have pride in securing a living through their own labor and determination. There are several policy implications of these findings. Firstly, informal firewood markets are clearly widespread as part of the informal economy, and, consequently, they should not be ignored by government agencies. Rather, it should be recognized for its role in energy and income security of the urban poor. The sector could be supported through land use planning and zoning that provides and secures firewood stocks within reasonable proximity to poor urban communities, and through government programs clearing invasive trees. Secondly, involvement in the urban firewood trade is clearly a means for poverty alleviation for some. National policy in South Africa places much emphasis on growing the informal sector as a means to reduce unemployment. The success of many urban firewood traders signals that they warrant recognition and support from local and national government initiatives. One of immediate relevance is the elimination of harassment from local authorities. Lastly, the research indicated that the urban trade in firewood is dominated by females. Consequently, any policies or initiatives to remove barriers or constraints to traders or promote their activities will simultaneously contribute, in however a small way, to addressing the marginalization of women in the South African economy. This work was sponsored by the South African Research Chairs Initiative of the Dept of Science and Technology and the National Research Foundation of South Africa. Any opinion, finding, conclusion or recommendation expressed in this material is that of the authors and the NRF does not accept any liability in this regard. These findings are described in the article entitled Informal urban fuelwood markets in South Africa in the context of socio-economic change, recently published in the journal Energy Policy. This work was conducted by J. Guild and C. M. Shackleton from Rhodes University. Charlie Shackleton currently works at the Department of Environmental Science, Rhodes University. Charlie's primary research interests include the ecology and use of non-timber forest products, rural livelihoods, urban forestry and the role of wild foods in food security and diversity.